First and foremost, I would like to welcome my new subscribers and I hope that you enjoy the recipes I share. Second, if you are looking for a mind blowing, breath taking treat then this Blueberry Strawberry Butter Bars will be your new favorite. 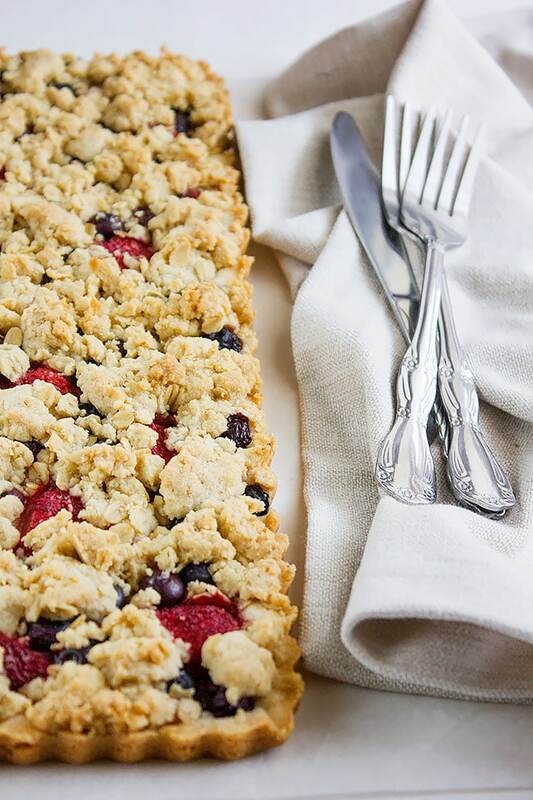 I have received some amazing products from Bakery on Main and was looking forward to using their rolled oats in this blueberry strawberry butter bars, I was eager to find out how the rolled oats taste when baked since I have other baking projects in mind and it included rolled oats. The idea of making these butter bars came to my mind while preparing oatmeal for my hubby, he likes taking some to work. I thought of making him a surprise treat which he highly appreciated and enjoyed. 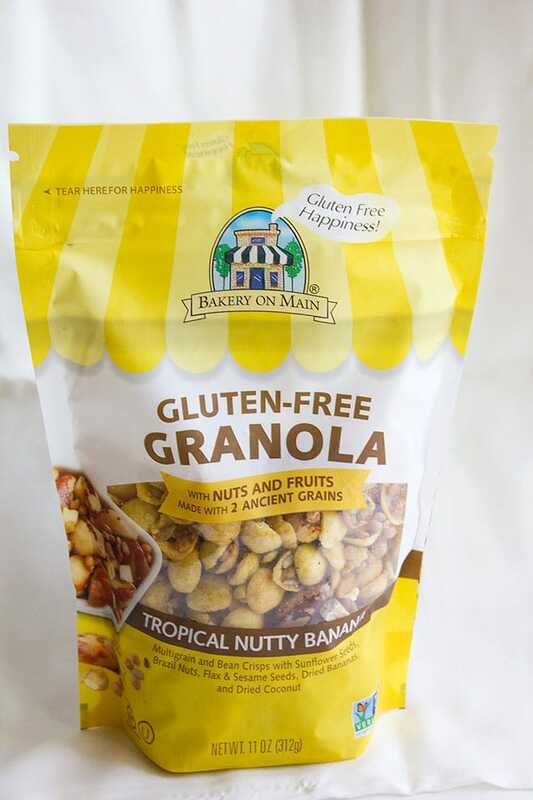 But before telling you more about the treat, I must mention Tropical Nutty Banana Granola, you can see it in the image below. Please have a good look at it! It tricked me bad! I opened the pack and loved the smell, took some granola to taste, then took some more, then some more, and then more!!! It is so embarrassing but I almost finished the whole pack in one sitting, it was delicious and the more you have, the more you want. That’s dangerous, in a delicious way! 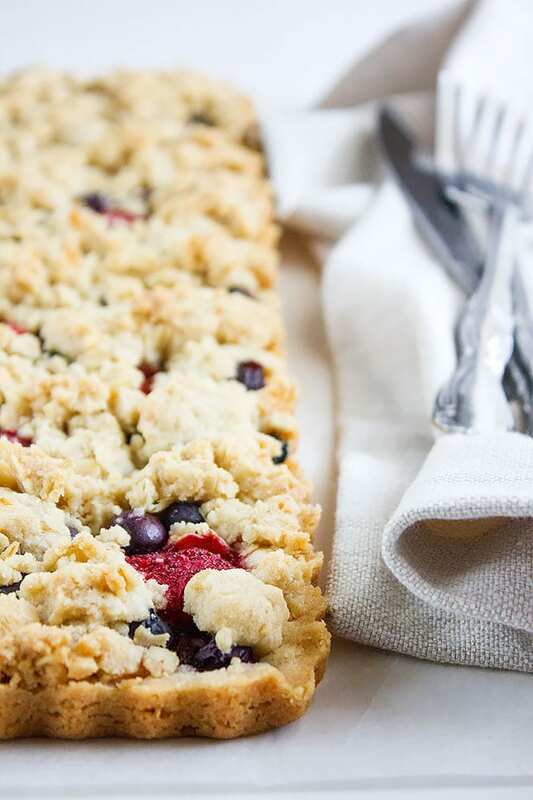 More On Blueberry Strawberry Butter Bars. Back to the blueberry strawberry butter bars, these bars are everything you look for to satisfy your cravings for elegant and delicious dessert. 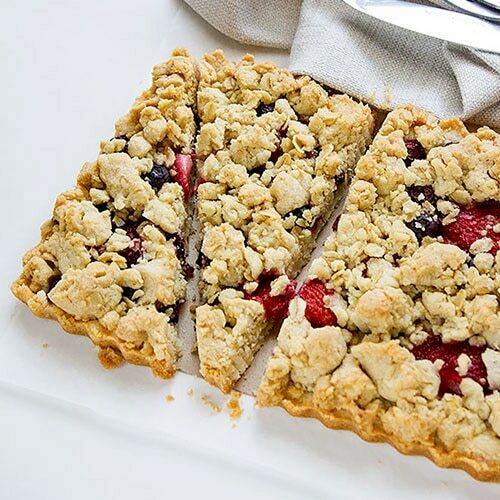 The crust is somewhat between a shortbread and a pie crust, the filling is fresh strawberry and blueberries (you can use frozen too) which with baking got caramelized and its flavor got stronger and better. Topped with golden streusel, has a crunch to it, and slight chewiness from the rolled oats. This is a great treat to enjoy and to brag about. 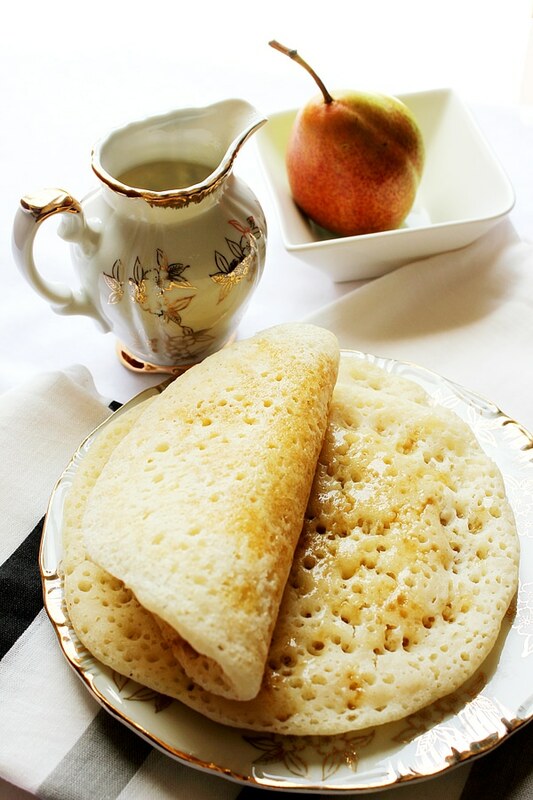 I am sure you’ll love it and don’t forget to have a big chilled glass of milk on the side. 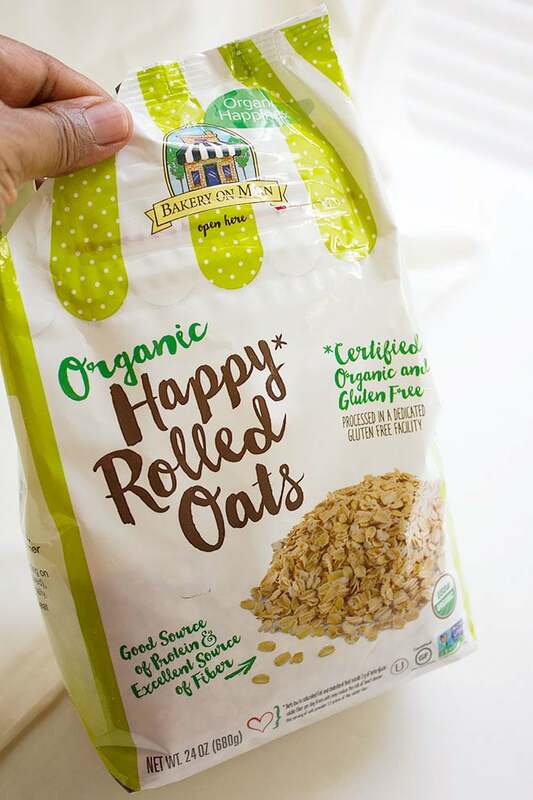 Bakery on Main has a great range of Gluten-free products, high in quality and amazingly delicious. 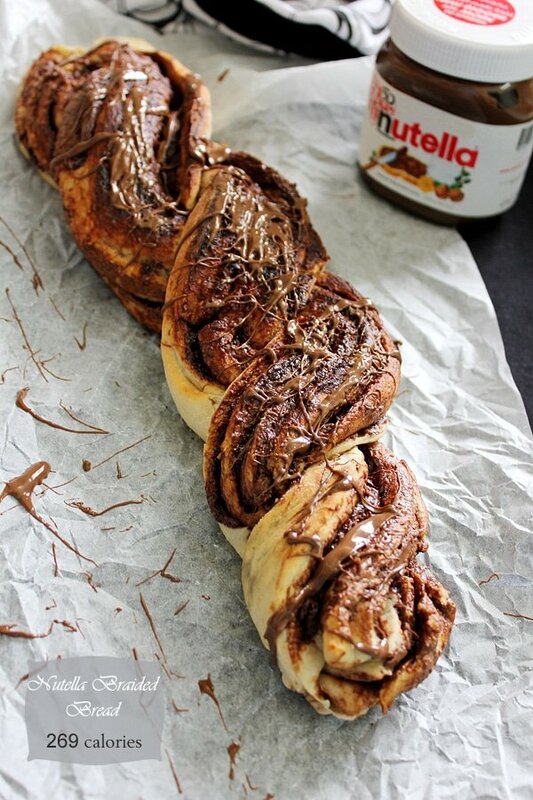 Can be breakfast or snack, you choose. 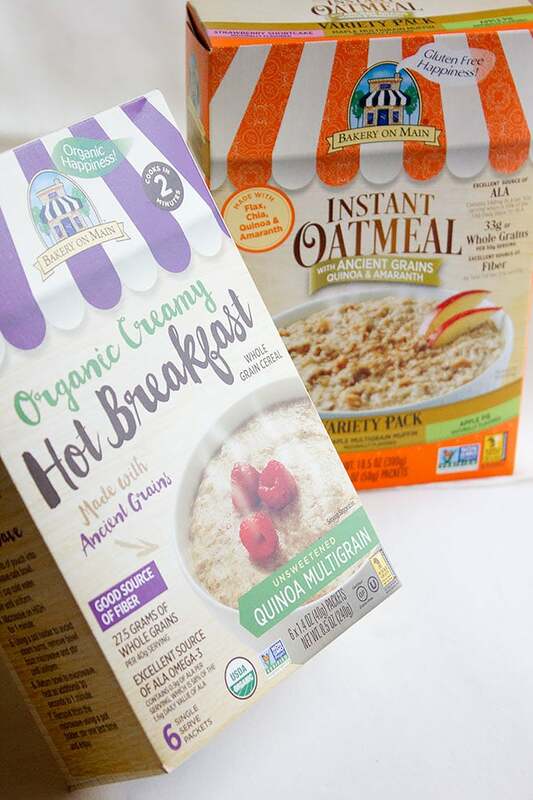 We loved the granola, it keeps fresh and maintains the crunch, thanks to the sealable pack. Hubby loved the peanut butter and chocolate bars, and if you are pressed for time then Bakery on Main has Instant Oatmeal which tastes wonderful with fresh fruits and nuts. Now let’s bake something sweet, shall we? Preheat oven to 350F/180C. 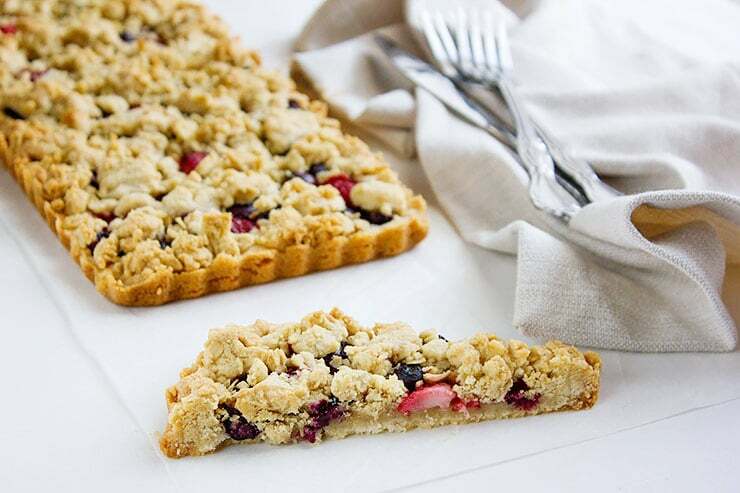 Use a 14”x6” tart pan with removable bottom, or you can use a regular tart pan and line it with parchment paper. In a bowl, add the crust ingredients and mix well using your hand. Transfer to the tart pan, press and spread evenly. Place the strawberries on a paper towel to absorb some of its juices. Distribute the strawberries and blueberries on the crust, keep aside. In a bowl, add the streusel ingredients and mix well. 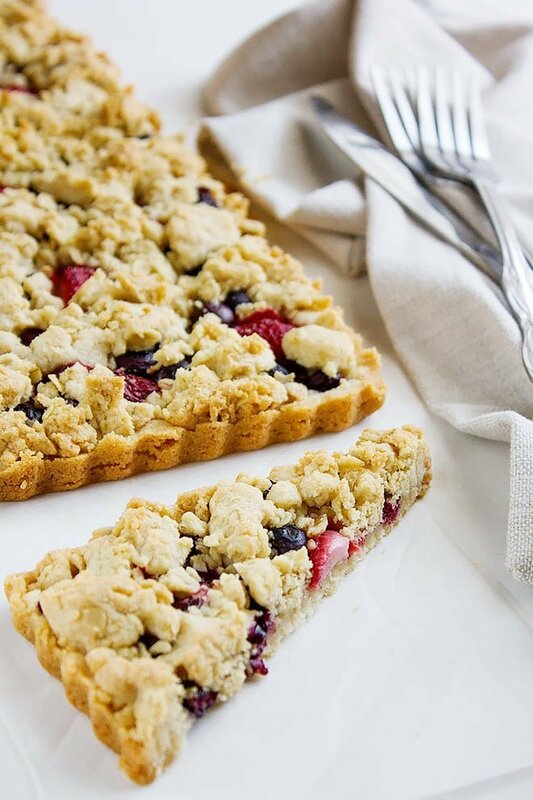 Take some of the mixture and press it in your hand, take a small piece from it (around 1 ½ inch) and place over the berries, keep doing so until you almost cover the berries with the streusel. The streusel should look like small lumps. Bake on the middle shelf for 25 to 27 minutes or until the top is golden in color. Cool while in the pan for 10 minutes, remove from pan and place on cooling rack. Cut into bars. This post is sponsored by Bakery On Main, but the opinion is all mine. 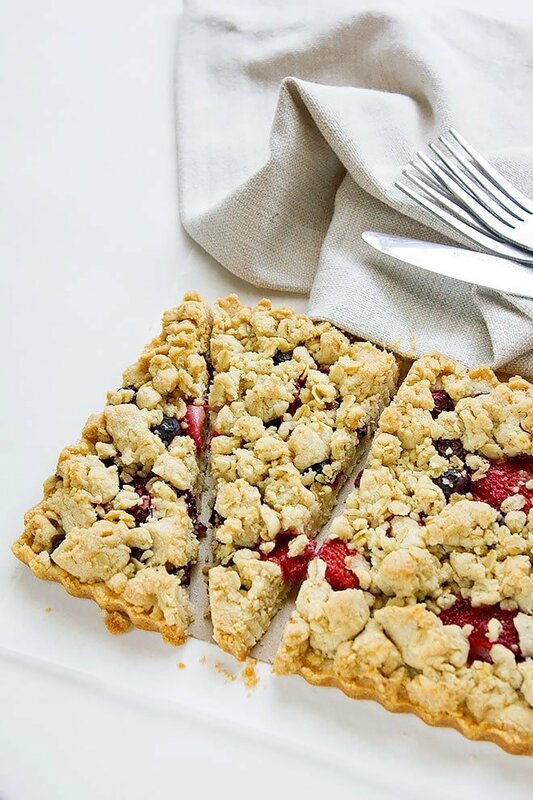 Anything with streusel is irresistible! This looks wonderful!